Currently rising along the south bank of the Chicago River’s main branch, the 1,198-foot Vista Tower is posed to become the city’s third tallest building. It’s angular design from Chicago architect firm Studio Gang is made up of three stacks of undulating geometric frustums wrapped in alternating bands of shaded of glass. A skyline is important to the status of a city, particularly for one like Chicago that takes pride in a history of important architectural works (particularly in the Loop as it transformed from a commodity based economy to a finance center) and consistently works to assert its importance as a global city. 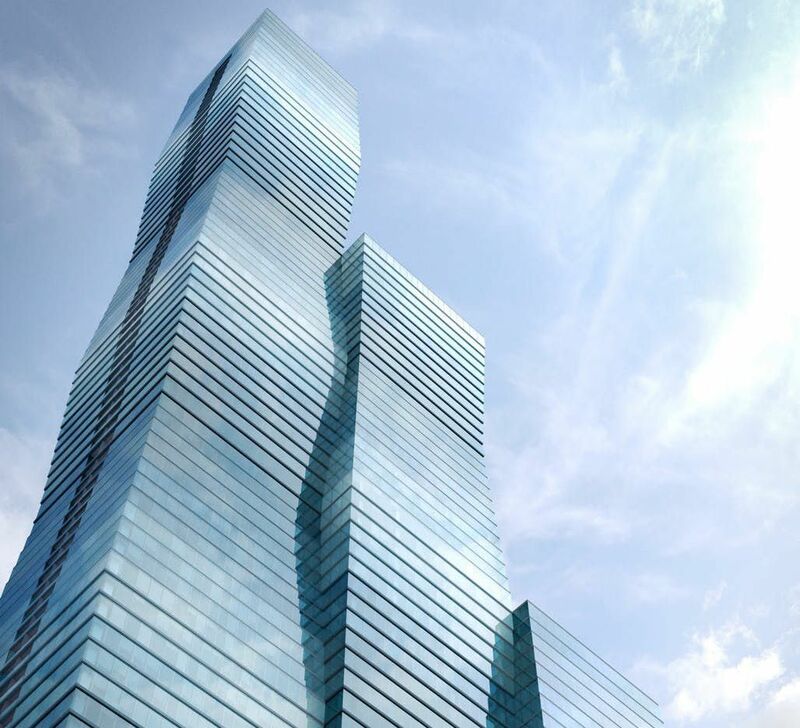 These new buildings will add more glass as well as more height to the skyline. It will take some time for all of them to become accepted and recognized parts of the a skyline for a long time that was fairly set (roughly from the early 1970s to the early 2000s with the three tallest buildings). It would be interesting to consider how Chicago compares to other cities in the approval and construction rate of skyscrapers. Even on this list, the majority of the tall structures are not yet under construction. 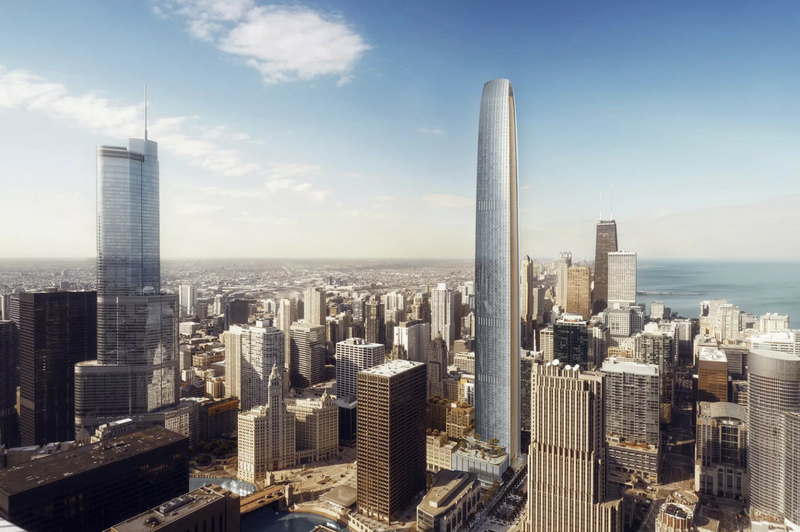 Chicago always seems to have some supertall buildings in the works (see this earlier post) but many do not come to fruition. Is this common in all major cities? Does Chicago have more proposals than normal or a lower ratio of completed buildings?